We don’t buy every car, but we do buy the best. 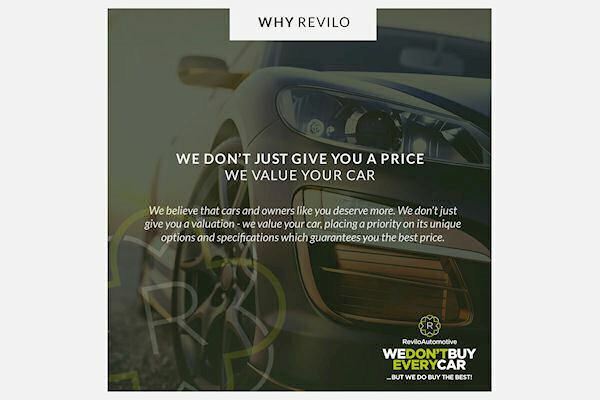 Welcome to Revilo Automotive, the UK car buying service exclusively for owners of premium and specialist vehicles. At Revilo, we don’t work through computers. We don’t just ask you to enter your make, model and registration number and then look up a price on a database. This ‘one club’ approach means you usually get the worst, rock bottom price as it does not take a host of relevant factors into consideration. We believe that cars and owners like you deserve more. We don’t just give you a valuation – we value your car, placing a priority on its unique options and specifications. You’ll find Revilo a refreshing change, for many reasons. • You could save £000’s, with a valuation that genuinely reflects your vehicle, in particular its options and specification. • We guarantee to beat any like-for-like valuation from elsewhere. • Save time and hassle, as we visit you. • Revilo is about people – not computer programs. • Unlike our competitors we won’t give you a valuation based on what a database says. • The unique knowledge of our vastly experienced team of Brand Specialists is what makes us different. 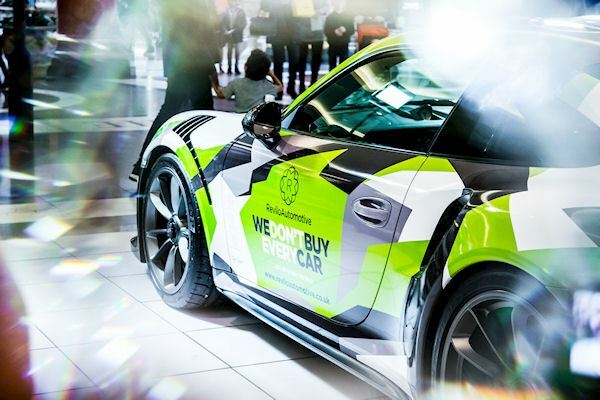 • We’re a new kind of car buyer, offering you a totally different customer experience. 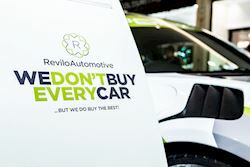 "Our number one priority is to offer people more for their vehicles compared to part exchange prices and other car buying websites. We do this by employing brand specialist with a wealth of industry knowledge and experience who understand your vehicle based on its own individual specification. We further enhance your experience with us by travelling direct to your door step or place of work where you will be visited by a friendly appraisal specialist who will complete the transaction with you in approximately 30 minutes. The funds are transferred from our Coutts account direct to your personal account before you release the vehicle." "As a consumer looking to sell a vehicle, you’ll find yourself up against it. Time, support and money are all extremely important factors when choosing who to sell your vehicle to. 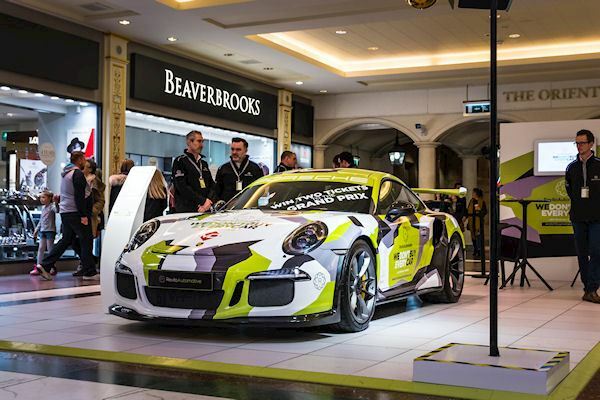 With over 150 years motor trade experience within the team and brand professionals we are uniquely placed to offer the best possible price for the vehicle. Our dedicated logistics team will ensure the least impact on our client’s day and with the brand professionals available until 23:00 on the live chat function, you are never left without the support needed throughout the transaction. Our main competitors all claim to provide the best price, time saving and support, but this isn’t accurate, and they certainly don’t offer all 3 under one roof”. Or speak to a member of our team on Live Chat 7am – 11pm, 7 days a week.